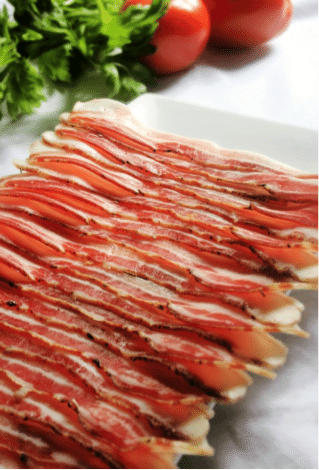 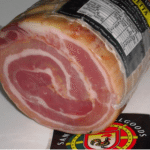 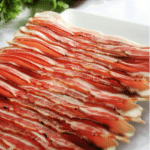 Round Pancetta – Salted, spiced & air matured rolled pork belly. 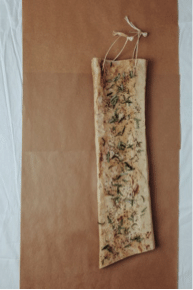 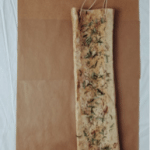 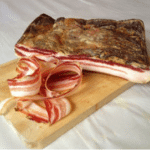 Poitrine Fumee–French Pancetta style pork belly, French herbs, dry cured, Beech wood cold smoked then semi air dried. 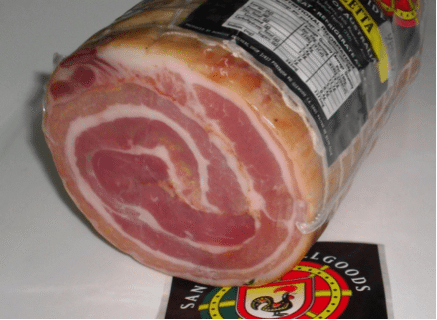 Requires cooking. 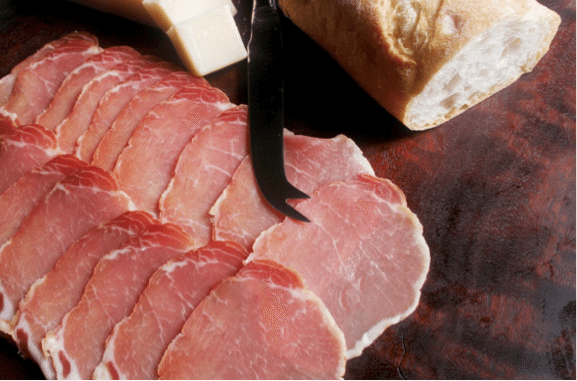 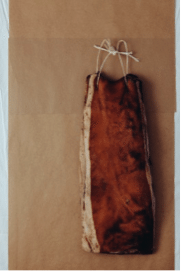 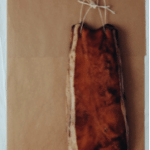 Lombo – Salt cured & air matured until aged, low-fat whole pork loin fillet. 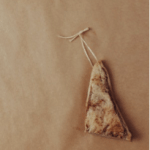 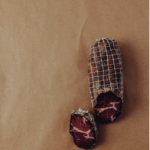 Guanciale – Italian style salt cured & air matured pork cheek. 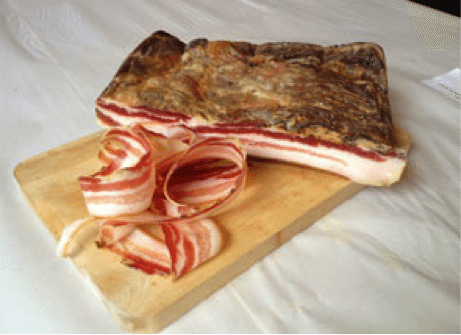 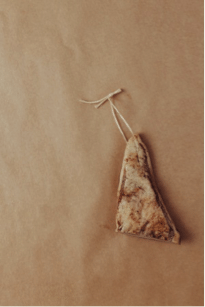 Lardo – Spiced air matured pork back fat. 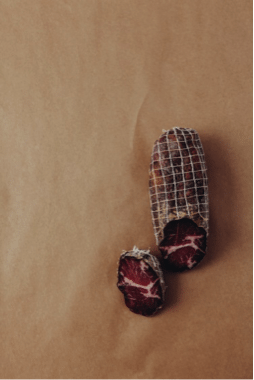 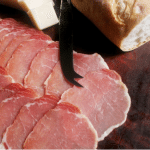 Bresaola – Italian style air matured for 3 months, beef eye fillet, SA grass fed beef, low in fat with a delicate taste.